Motherhood is a beautiful phenomenon. Once this tiny person enters your life, you instantly evolve from this person who once put herself first into this nurturing, selfless creature. Children can turn your world upside-down and you find yourself ok with that reality, as life is only enhanced upon their arrival. They also make you see things and life through new eyes. It’s a precious feeling all around and as that child grows up, the need to make them feel loved and feel a belonging is stronger with each passing year. Nicole Kidman truly understands this selfless love that is stronger than her fears or dislikes. The Oscar-winning actress has naturally curly ringlets, but in past years has not appreciated nor shared them. She use to loathed them but has begun to embrace and rock her ringlets for the sake of her three-year-old daughter, Faith, who shares those same ringlets. You see, her daughter Faith prefers her mother to wear her hair like hers and as simple of a request as that…what mother could resist? 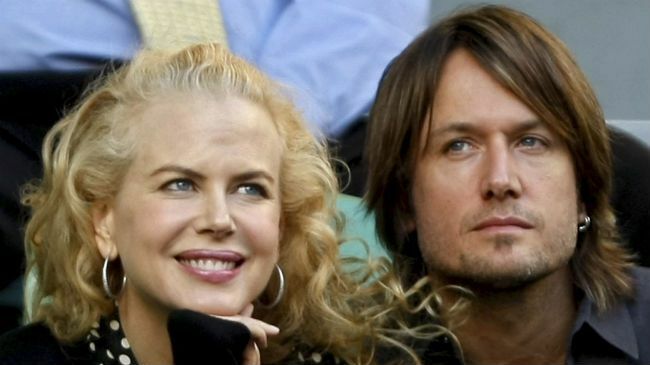 It’s easy to see why Kidman saw the error of her ways in hating her curls and how it can affect how her daughter views her own hair. This very same situation is happening to mothers and daughters in the natural hair movement and many mothers have begun to take heed and follow suit. More women are embracing their natural curls, coils, and waves. So many of us in the past have bought into the notion that our hair wasn’t good enough in its natural state. We thought It wasn’t beautiful without chemicals or excessive straightening, but then realized and accepted the reality that we possess beauty from within and then our confidence began to spread. That confidence and pride creates a kinship we now hold with our daughters. Not long ago these same women would have been relaxed and the hair of their daughters would have not resembled theirs. Now we see a closeness between mother and child, and as a daughter literally and figuratively looks up to her mother she can fully see the commonality between them. This becomes reinforcement of who she will become and who she already loves begins to solidify. If you want your daughter to love herself, then you must love yourself first, internally and externally. We are our children’s first teachers and they are learning well before they even hit a classroom. They learn from us and are shaped by how we are and what we do. By loving our natural hair we are telling our daughters and sons that a woman’s natural features need not be altered to encompass beauty. Our natural tresses are stand-alone gorgeous features that only reflect and enhance our inner beauty. Remember, every little girl wants to grow up to look like her mommy and every little boy thinks his mother is beautiful. Make sure the message you are sending your children is one you can be proud that they cling to for guidance. Self-love is learned and what better way for our children to learn than from their mothers who love themselves completely.